When I brought Clara home two years ago, I all but said goodbye to lazy Saturday mornings in bed (hello, pre-sunrise feedings! ), after-work drinks with girlfriends (daycare closes at 7 p.m.), and spontaneous weekend trips (who would watch the little lady?). My husband and I were suddenly responsible for a new life, and that took precedence over romantic getaways and extra space in our bed. Clara, I should mention, is a 50-pound pitbull mix, but she’s a part of my family just the same—and, like millions of pet owners in the US, I treat her as such. Even if the term “fur baby” makes your skin crawl, you have to admit that, in recent years, there’s been a marked change in the way people view their four-legged friends. 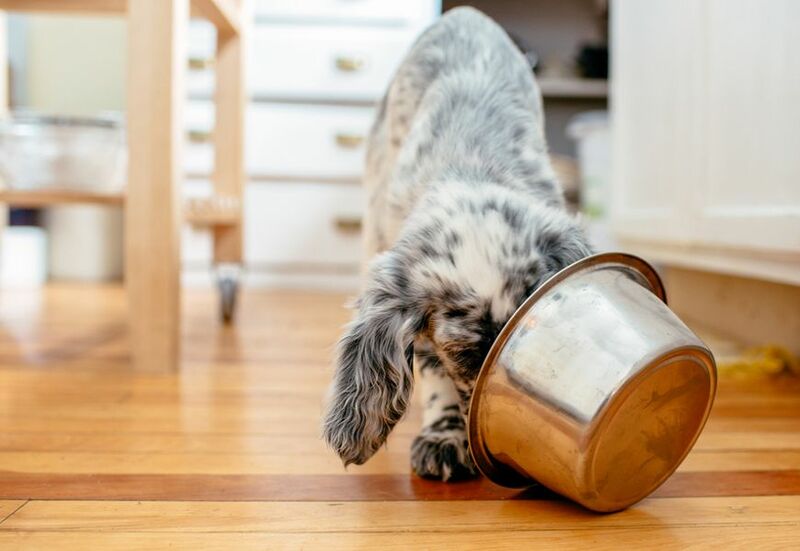 “[Pets] used to be for the kids, now they very much are the kids,” says Gabby Slome, co-founder of the freshly cooked pet food company Ollie, one in a new class of startups looking to revolutionize how people feed their pets. What it boils down to for many wellness-minded pet parents is: If you know that heavily processed foods filled with additives and preservatives aren’t exactly doing your health any favors, why do you feel okay about feeding similarly sketchy meals to your dog or cat? With a range of new products now available—from certified-organic kibble to home-cooked food you keep in the fridge alongside your fresh kale and kombucha—you (and your pet) no longer have to settle. Keep reading to learn how the pet food industry is taking a wellness journey of its own. The food shipped straight to your door looks much closer to something you’d find on your own plate than anything you’d see in the pet-food aisle. All three co-founders consulted with veterinary nutritionists—a certification only earned by veterinarians after an additional two-year training program—to create their recipes, which are free of preservatives and artificial ingredients. “Dogs are the most reliable consumer—they eat the same thing, at the same time, in the same amount every day,” says Podolsky. “So there’s really no need for preservatives—you can cook the meal and ship it out on a reliable schedule.” This is a far cry from pet food that’s formulated to sit on grocery store shelves for months at a time, Slome points out. This all sounds good, but how necessary is it? According to a 2003 Belgian study, replacing your canine’s “industrial canned food” with homemade food can increase their lifespan by approximately three years. That’s like, 21 human years! Just as each person finds their own entryway to wellness (whether it was an illness that caused you to cut out sugar or the urging of a friend that got you to your first yoga class), there are many on-ramps for your pet, too. The truth is, not everyone can afford the high price tag that comes with these subscription pet food services—when I tried The Farmer’s Dog, meals for my medium-size mutt came to over $50 per week. When that’s the case, a kibble or canned food from a trusted retailer can be a great place to start your pet’s wellness journey. And you have to know you can trust the brand. Companies like Castor & Pollux are making this easier for customers by committing to using at least 95 percent USDA organic-certified ingredients. While Castor & Pollux purports to be the only brand to have its ingredients certified organic by the USDA, other pet food manufacturers are making their own quality pledges to customers. Kentucky-based Orijen crafts “biologically appropriate” recipes made from “fresh, regional ingredients,” while Nutro nods to a hot human diet trend with its “Paleo-inspired” recipes made from non-GMO ingredients. The World Small Animal Veterinary Association (WSAVA) also releases guidelines to help you choose more nutritious pet food, including questions you should ask the manufacturer (yes, they recommend picking up a phone) before trying a new brand. A common refrain of health pros is that “some is better than none”—meaning, adding a little bit of exercise to your routine or a little bit of greens to your diet is better than stayed glued to your couch or fed on a steady rotation of microwavable pizzas. “Not everyone is able to shop at Whole Foods all the time, but you also know you can’t eat McDonald’s every day,” says Webb. For dogs, research shows that this “little bit” of freshness can have a huge impact on their overall health. According to a 2005 study of Scottish terriers, adding vegetables to your pet’s diet may prevent or slow the development of transitional cell carcinoma (a form of bladder cancer) by as much as 65 percent. To this end, PetPlate and The Farmer’s Dog now offer combined plans that allow you to top off your pet’s bowl of kibble with some fresh food (at a lower cost than a full subscription). “The thing about dogs is, they’re such an amazing species,” Podolsky sums it up. “They give us so much and they ask for nothing in return. We’re in complete control of their health; the least we can do for them is give them a healthy diet.” And a few scratches behind the ears. To make sure the rest of your home is as pet-friendly as the kitchen, check out this list of non-toxic plants. And go ahead and tell Rover he’s a good boy: Talking to your pet can boost your own health.